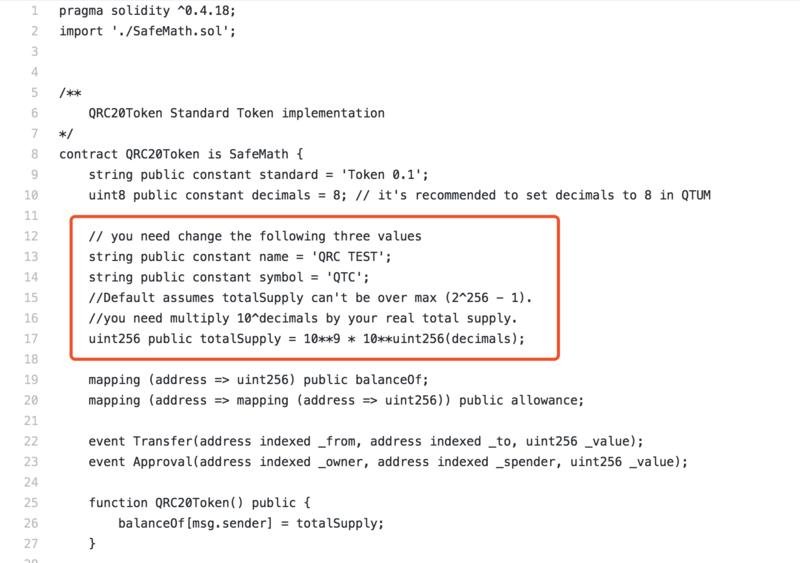 QRC20 is the implementation of a standard API for tokens within smart contracts on Qtum，basically it is the same as ERC20. 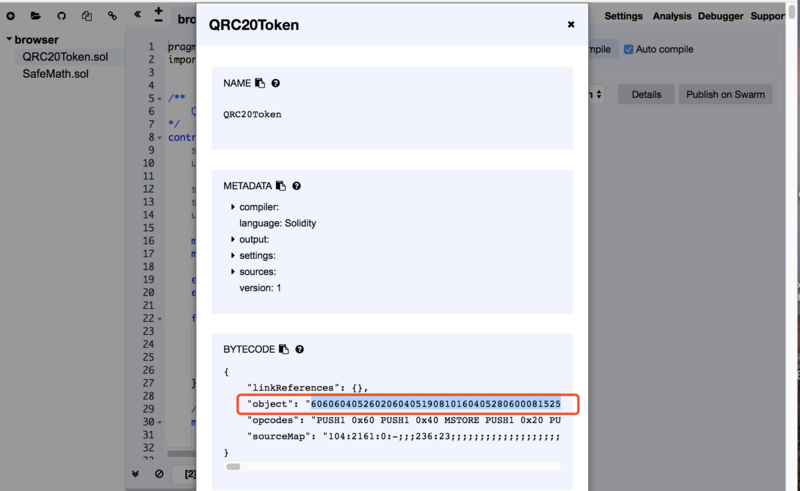 One example offeres：QRC20Token, you can use this code to publish your token on Qtum. In QRC20Token.sol, change name、symbol and totalSupply to your own preference. Download the latest Qtum Core wallet from https://eco.qtum.org/wallet or https://github.com/qtumproject/qtum/releases/latest. Once finish，you should withdraw some qtum coins to your wallet to pay for the gas fee. 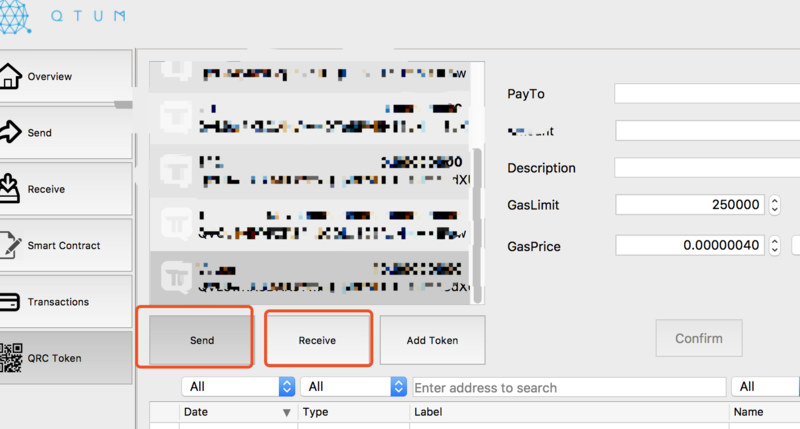 Click Request payment to get your receive address. Open https://ethereum.github.io/browser-solidity/ in your browser. 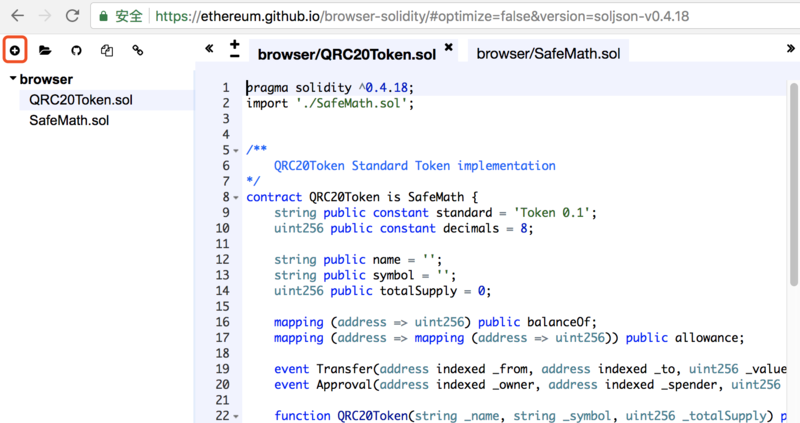 Click the “+” button on the top-right side，create new files SafeMath.sol and QRC20Token.sol, copy & paste you code heer. 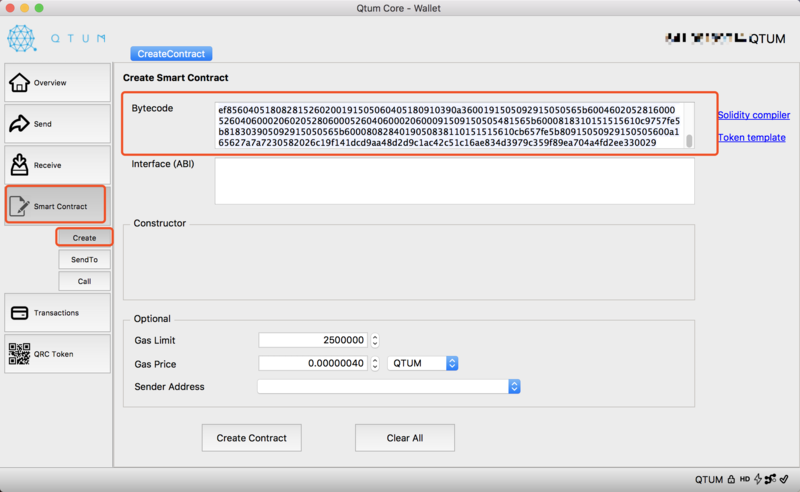 Open Qtum Core wallet, go to “Smart Contract” =》 “Create”, paste the BYTECODE. Click “Create Contract” button, save the SenderAddress and ContractAddress for future using. Wait some time until the transaction get confirmed, and the contract is created successfully. Before publish your code on mainnet, you&apos;d better test it on testnet. Go to https://github.com/qtumproject/documents/blob/master/en/Testnet-User-Guide.md to get more information about Qtum testnet. In Qtum Core wallet, go to “QRC Token” page and click “Add Token” button, input your SenderAddress, and choose SenderAddress as your Token Address, click “Confirm” button to get this done. If you cannot find the SenderAddress in the Token Address combobox, please send some qtum coins to the SenderAddress and try again. 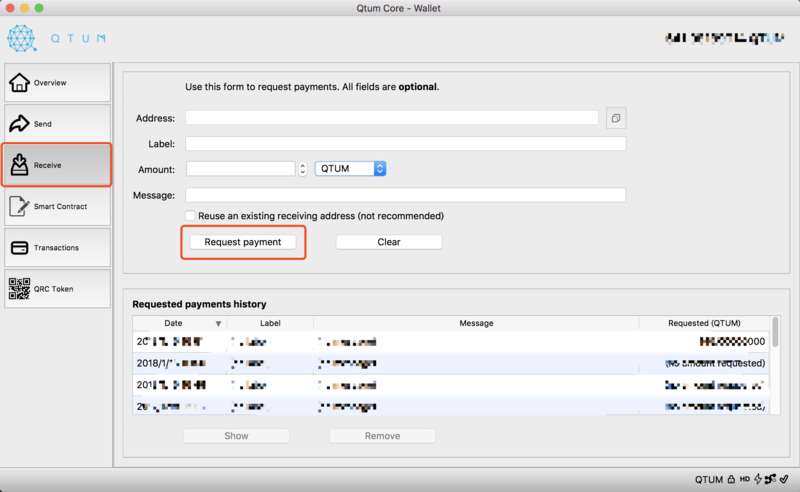 A small amount of QTUM coins is needed to pay for the token sending gas fee, please ensure you have enough QTUMs in the token binding address.